Showing 151 – 175 of 246 feature stories. From the same company that brought the world mass market high quality aerial drones and their excellent video recording capacities, the DJI OSMO is a natural step for the Chinese manufacturer to take given its previous product developments. After first mass producing its affordable drones, DJI also jumped into the business of putting together some excellent semi-native 4K UHD cameras for newer UAV models like the Phantom 3 and since all DJI drones for sale feature a highly stable gimbal assembly for the sake of clean shooting even with in-flight drone vibration, the OSMO was a natural outgrowth of these technologies. Some 4K monitor prices are starting to reach affordable levels, but is 4K gaming really within reach for most PC gamers? We dig in. The sun's beauty has been captured by NASA in 4K Ultra HD, giving space enthusiasts a safe way to examine the fireball. A color was assigned to the sun's various wavelengths, each of which highlights a different temperature. The result is breathtaking. Sky has sent out invites to an event on 18 November where it is going to unveil what's next for the broadcaster.The invite simply says "It's time to set your TV free," with the #SetTVFree as the social hashtag for the event. So what could it mean? Delivery of a 4K Master is increasingly what is being demanded, but the good news is that it is getting easier to achieve, and there are now many routes to get there. On Saturday, November 21st, the Digital Cinema Society in cooperation with such groups as the LAPPG, Digital Production BuZZ, ProductionHUB, AOTG, and Pro Video Coalition will gather at Raleigh Studios to explore the challenges and solutions of finishing in 4K. NEWARK, NJ (October 21 , 2015) – Fashion video content producer/publisher Adriana Kaegi recently shot extensive coverage of New York Fashion Week with Panasonic's new AG-DVX200PJ 4K large-sensor, 4/3” handheld camcorders. Kaegi is a featured channel partner on AOL.com Style Addytude, with eight million monthly viewers, and her company ADDY.media was the first to do live streaming and VOD of the New York, Paris and Milan Fashion Weeks. Sony Electronics today announced the introduction of the VPL‑W5000ES, a 5,000 lumens 4K SXRDTM laser light source projector. Sony’s new reference-quality unit is the first projector designed specifically for home cinema use that features 4K resolution powered by a laser light engine that provides 5,000 lumens of brightness, is compatible with High Dynamic Range (HDR), emulates the new BT.2020 color gamut, and covers the full DCI color space. In recent years Ford Motor Company has become a leader in exploring new technology for design and engineering. The company’s newest initiative is the Ford Immersive Vehicle Environment (FIVE) Lab, led by Elizabeth Baron, Ford Virtual Reality and Advanced Visualization technical specialist. If there's one thing the RED 4K camera was built for, it was capturing footage in space. DJI's drone cameras have come back down to earth, and have been transformed into a unique and powerful tool for stabilized handheld video. Spencer Chumbley is a journalist and filmmaker based in Washington, D.C. His work has been featured in VICE, Al Jazeera English/America, The Economist, and TIME, among others. He also heads the documentary production company DISCOURSE. Earlier this year, Spencer took his Sony PXW-FS7 to Nepal for VICE News to document the 7.8 magnitude earthquake that devastated the region. I was asked by 4KHUB to do a Sony PXW-FS7 review for their site. 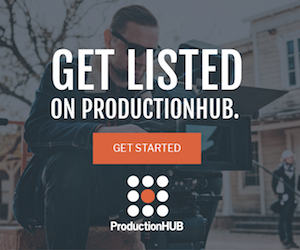 I have contributed content to 4KHUB.com since it’s launch (and also to ProductionHUB over the years). IGI, an experienced leader at the forefront of 4k resolution technology, recently installed a PowerWindow 4K system at the White Sands Missile Range in south central New Mexico. The system, which provides ultra-high resolution and color-accurate rear projection, is being put to use at the site’s Goode Auditorium. RED has been teasing an upcoming camera that’s intended to make a huge splash in the filmmaking industry. It’s called the RED Raven, and it’ll be a $5,950 Canon EF-mount camera that brings RED’s 4K video recording to the masses. Sony announced that it is implementing HDR (High Dynamic Range) support into a wider range of 4K Ultra HD TVs in its portfolio. Moreover, together with the X940C and X930C models, which were previously announced to feature the said HDR support, the Japanese electronics manufacturer plans to extend HDR compatibility X910C, X900C and X850C 4K TV models. It would seem that after Android phones have been offering 4K video recording for quite a while now that Apple has finally introduced the feature to the new iPhones. Granted it won’t be at a buttery smooth 60fps, but we reckon 30fps is still pretty good and for the most part very usable at the end of the day. Sony is expanding its line of large sensor 4K technologies with the PXW-FS5 compact Super 35mm camcorder. JVC Professional Video, a division of JVCKENWOOD USA Corporation, today announced ActonTV, a PEG (public, education, and government) station serving Acton, Mass., uses JVC ProHD and 4KCAM camcorders to produce coverage of local sports and other productions throughout its community. Space is a big place. The vast distances between our curious selves and other planets and galaxies make witnessing the splendours and mysteries of our universe frustratingly difficult for most of us mere mortals. For the vast majority of people, their only ‘close up’ view of the majesty of space comes form the occasional stunning photograph taken by deep space satellites, martian rovers or comet cling-ons. The Digital Cinema Society’s August event warmed up “THE GRID Los Angeles”, a 33’ x 60’ x 61.9’ staging and production space at DPS for an in-depth look at DPS Cinema’s Enhanced Environments process along with Panasonic’s VariCam35 and Codex’s new V-Raw Recorder—all in 4K. 4K content distribution may give integrators flashbacks to the uneasy early days of HDMI. From the prospects of HD over IP to ‘4K Compliant’ to HDCP 2.2 and more, here are considerations to keep in mind. As of August 27th, AMD has officially launched the very latest and possibly most unique of its existing crop of 4K gaming GPUs. It was standing room only at the recent FUJIFILM 4K Day held at the Digital Motion Picture Center (DMPC) in Culver City, California on August 13, with attendees eager to discover what makes a 4K lens truly 4K.